Community service is a deliberate exercise, though in some instances, it is not always the case because some may be required to carry out community service as their civic responsibility or as part of or in addition to their jail sentence. Therefore, community service programs are a sequence of wide ranging tasks that are performed by individuals, groups or organisations usually called community service groups, in order to benefit their institutions or the society. What are Community Service Programs? What is the Purpose of Community Service Programs? 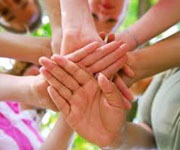 The activities of community service programs are aimed at strengthening the participant’s engagement in the community. Those participating in community service are involved in planning activities, implementation and reflecting on the welfare of the community while also achieving the development, education and societal goals. Like the scouts movement, it requires every member to participate in community service so as to graduate. There are community services programs designed for inmates who are sentenced as a result of their crimes. The law dictates that, since they performed crimes against the people, then they have to give back to the people. Where Can I Find Community Service Programs? Community service programs are found mainly among organised groups, or groups of people with similar characteristics and goals. There are community service groups among the youth in different communities who volunteer their time and energy in order to address needs in the community as well as a tool for learning. In schools, learners are required to perform service learning, or in other instances, a given number of hours in community service as a requirement for their graduation. It can either be sixty, a hundred or any other specified amount of time in the community. People who are sentenced to prison are offered alternative ways of paying for their crimes. Instead of congesting prisons with petty offenders, community service is a viable alternative. For inmates also willing to reduce their sentence, they are given the option of community service and the prisons have programs designed for the different types of offenders. Organisations involve themselves in organised community service on a regular foundation as a method of giving back to the community. Corporate social responsibility is a voluntary exercise that organisations put their staff through with the aim of bettering their community. In conclusion, community service programs are work schedules that are performed by a group of individuals or an organisation to benefit their institution or the community in general. The community work can be voluntary or forced based on the program that it is. The community based projects are a way for people to add value to their communities through their abilities, talents and the way they interact with others.